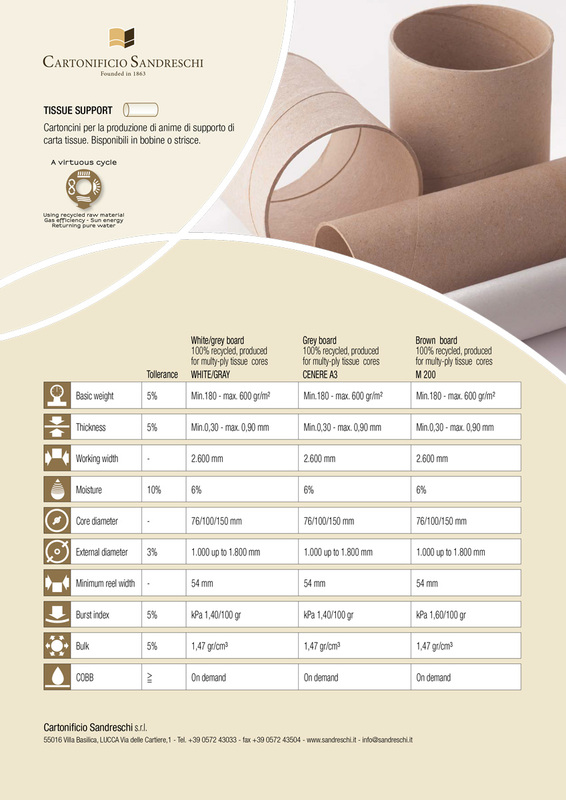 Cartonificio Sandreschi is able to offer a wide range of cartons from 180 g / sq.m to 600 g / q, different types of products with targeted characteristics for each sector of use. Particular care and attention is dedicated to the company's main business, the production of cardboard for the Tissue industry, for the textile industry, furnishing and packaging accessories. 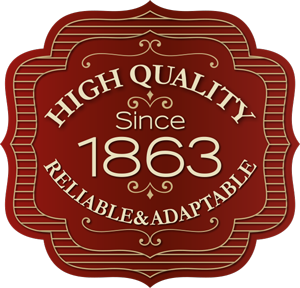 The care in the preparation of the finished product and the many years of experience in this field have allowed the Cartonificio a constant presence on the global market of the cardboard recycled in strips and reels. All the products can be coloured according to the needs of the client by supplying a simple reference sample. Cartons for the production of core for tissue paper, tested and used in one of the largest paper and cardboard districts on the national and international market, adjacent to the Sandreschi paper mill. The products are available in coils or strips.